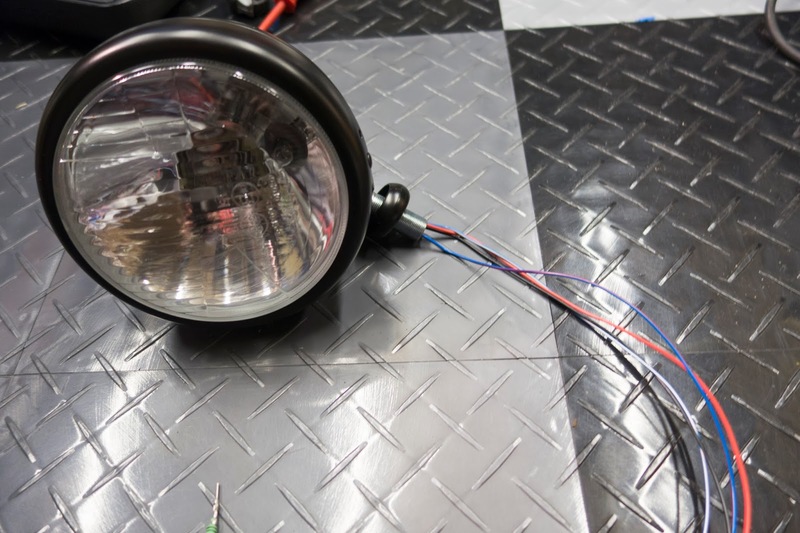 It seemed to be a good idea to mount the lights at this stage of the build as I'd seen many posts about how fiddly and time consuming this was, and others mentioning it was practically impossible to thread the wires through the grommet once the headlight mount was in place. 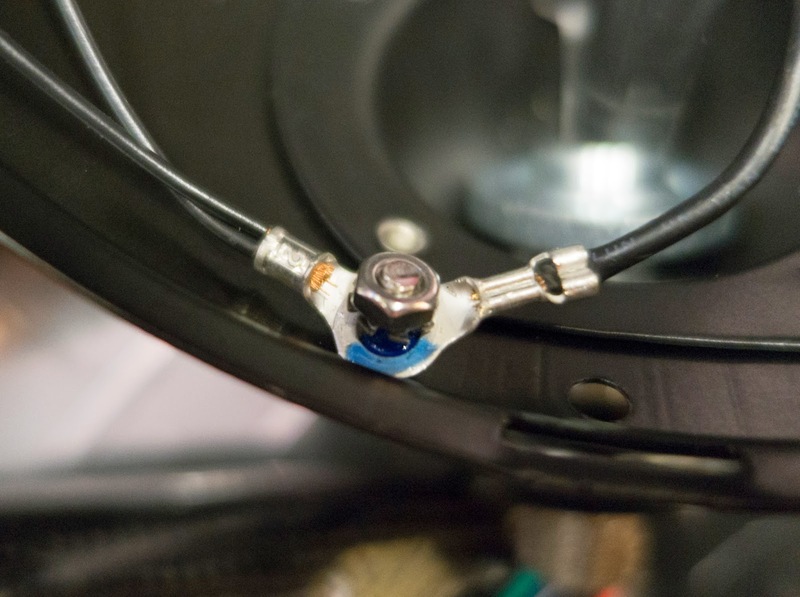 I'd done a bit of research as the manual was typically vague, and there wasn't much on the net about the revised headlight mounts and how best to wire them through the mount or how to fit them all together. 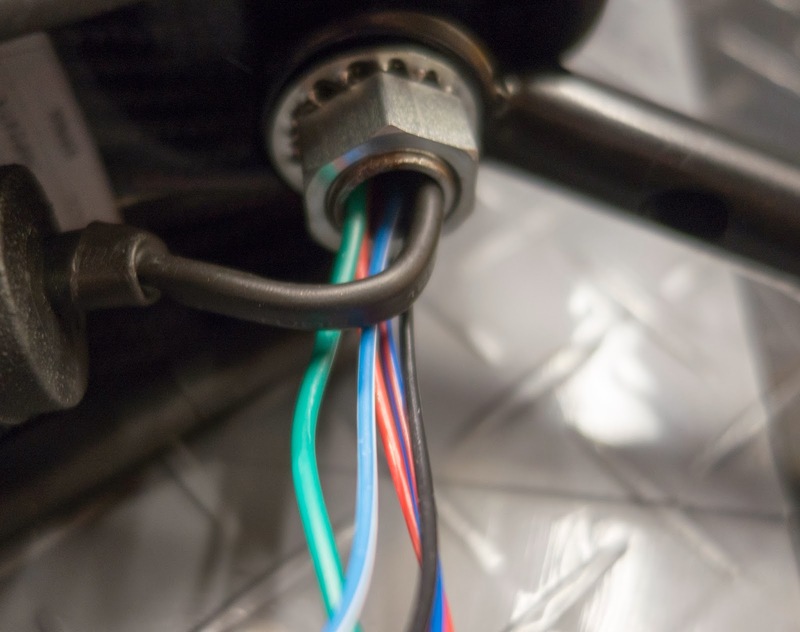 I spoke to Derek at Caterham and he suggested to cut a small hole in the supplied plastic tubing and thread the indicator wires through there. A friend popped over last night and we had a run through of how to put them together and then I decided that using the electricians tape and Derek's method was just too messy for my liking, so a trip to Maplin and some 7.5mm and 10mm heat shrink later I managed to do a pretty decent job (in my opinion!). Rightly or wrongly I thought it a good idea to take a few pictures of how I think they're wired properly so others can take some use from my ideas. Firstly add IVA strip to the whole edge of the indicator pod, and the screw indicator into pod. A little drop of Superglue every couple of centimetres is what the factory builders use to hold the IVA strip in place. Use approx 15cm of 7.5mm heat shrink to cover the green and black indicator wires. 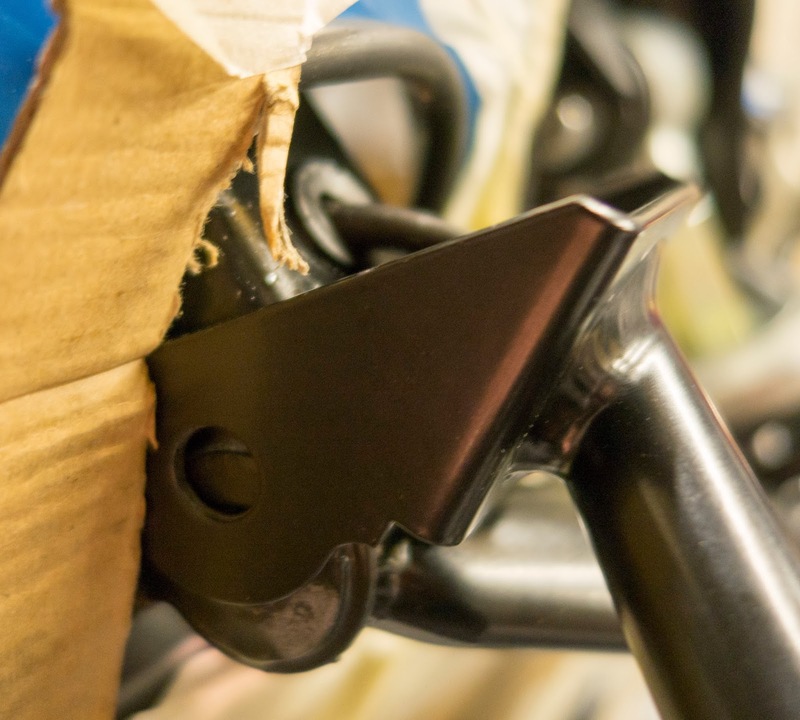 It's a tight fit over the indictor rubber, but with a little wiggling it does just go over as you can see in the image. 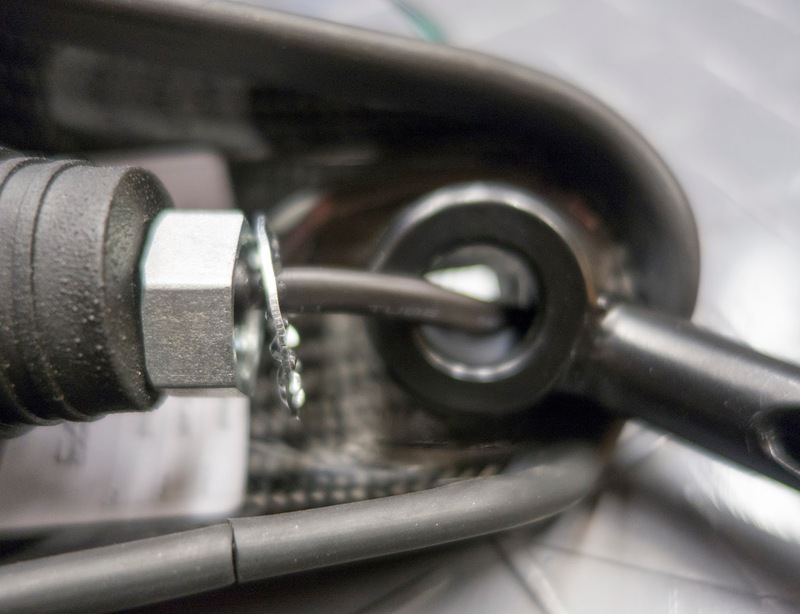 Unscrew the allen bolt at the top of the headlamp to open it, and also remove the plastic wire covering the 4 cables. 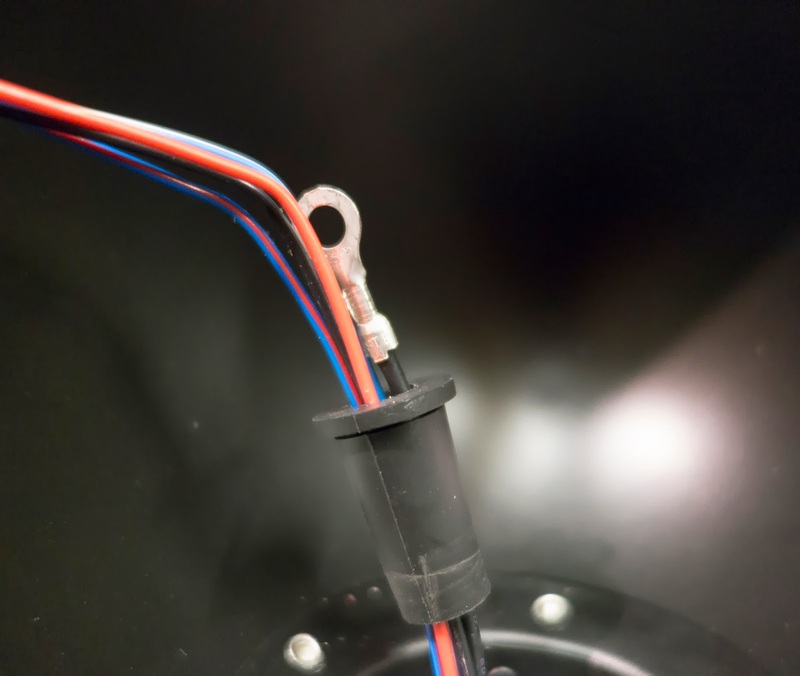 Feed indicator grounding wire (black) through the grommet. 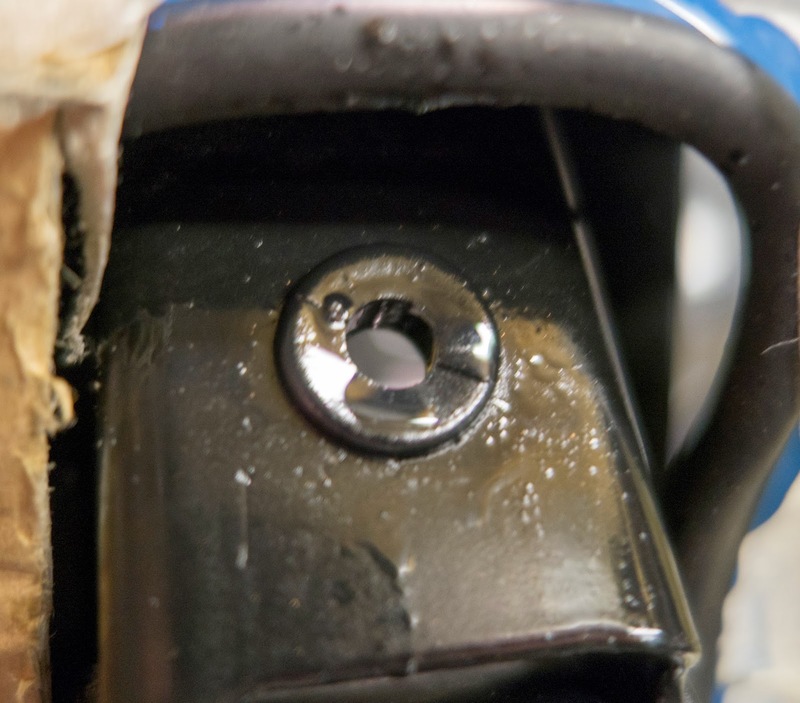 using medium to firm pressure, push the grommet back into place. 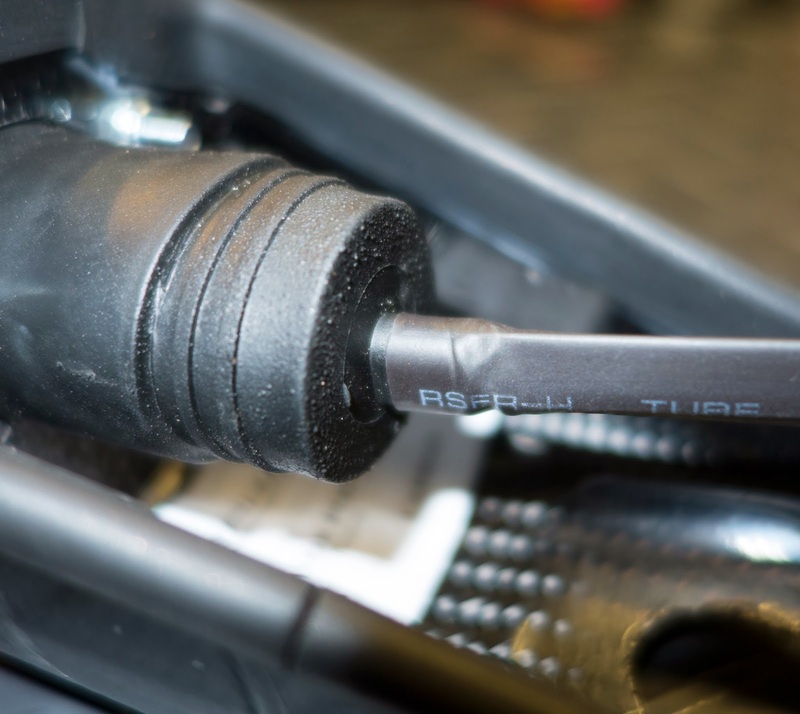 Undo existing ground for headlight, add indicator ground and apply a tiny amount of thread lock and tighten. 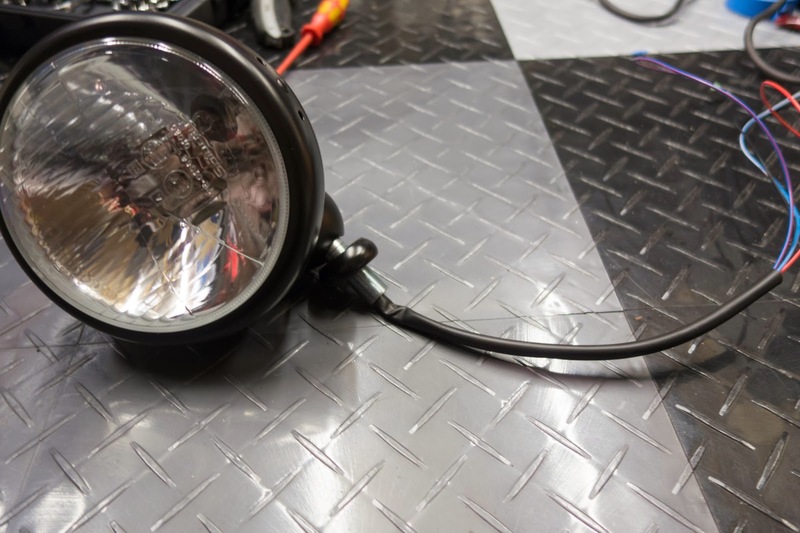 Replace glass on headlight and tighten grub screw. 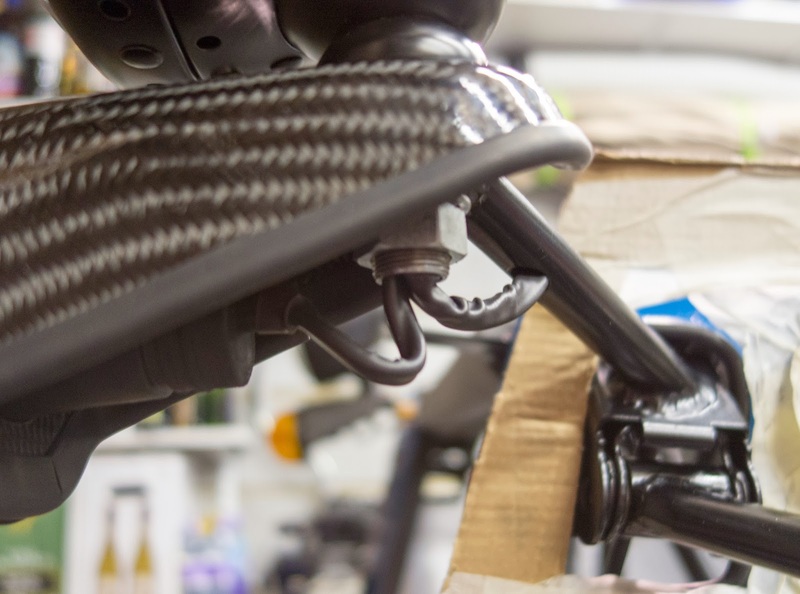 Now ensure all wires are threaded through the mount, washer and nut, and loosely tighten the nut. 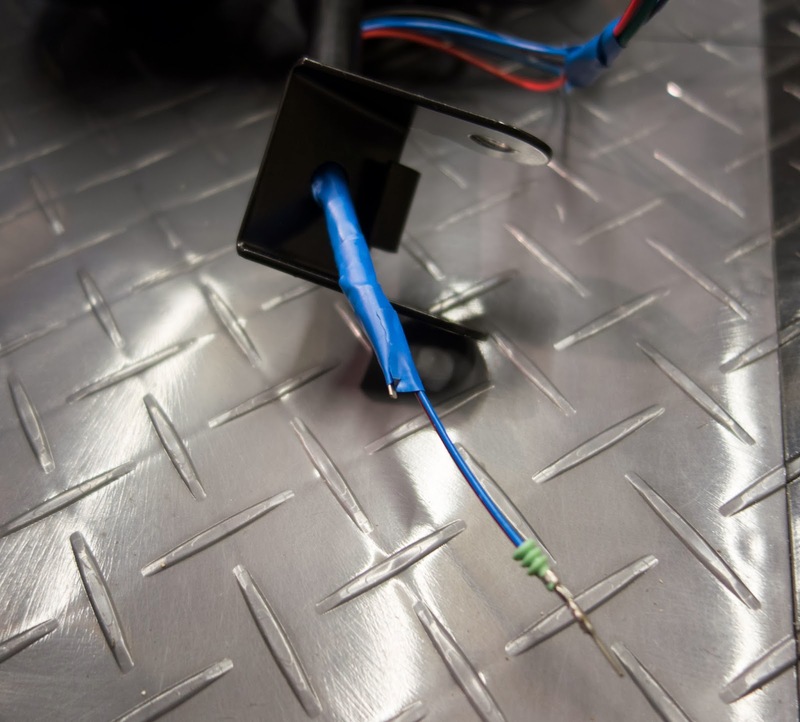 A good tip is to use a bit of electricians tape to join all the connectors into one which makes it much easier to thread through. 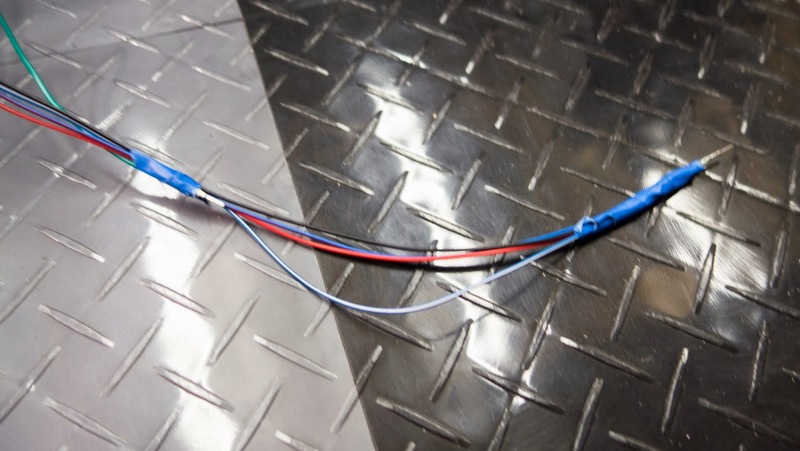 Note the indicator wire will be much shorter, but also tape this to the cables. Using approx 30cm of 10mm heat shrink, thread all wires through heat shrink and push about 5cm of the heat shrink up the mount as you can see in the picture. Apply heat and this should for a nice neat cable. 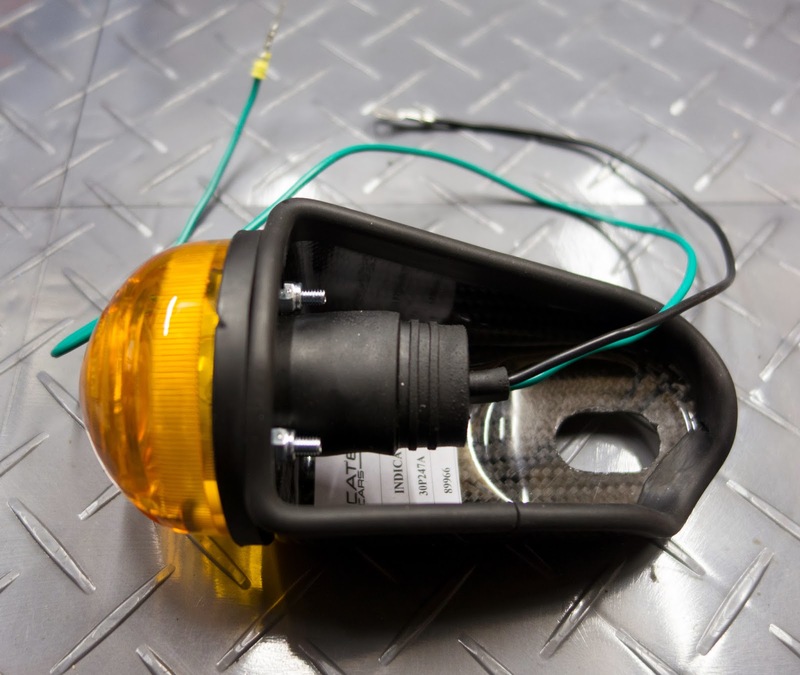 Wires easily thread through the mount. If you've done it properly it should look something like this. 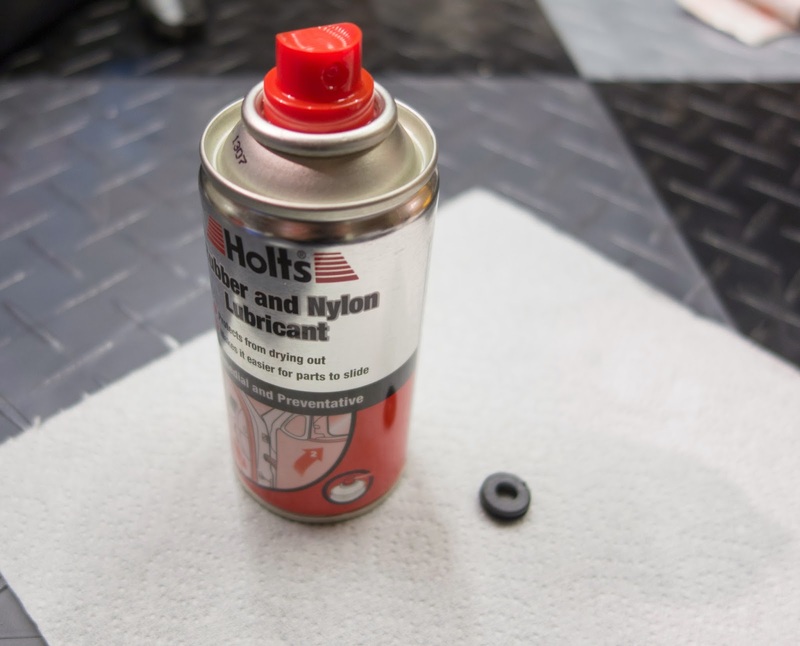 Spray a little Holts RL2R Rubebr and Nylon lubricant on the grommet. I also sprayed a little in the hole before placing the grommet in position. I think sprayed a little more in the inside of the grommet to aid threading the cables through. 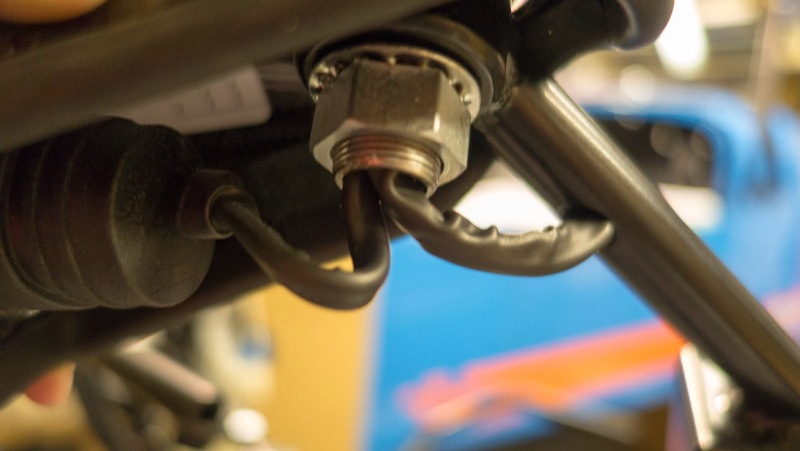 I found that by thread the cable through the grommet (should slip throughout quite easily) and then pushing the mount down vertically then placing it on top whilst gently pulling on the cables brought the mount perfectly into position. The finished article should look like this. 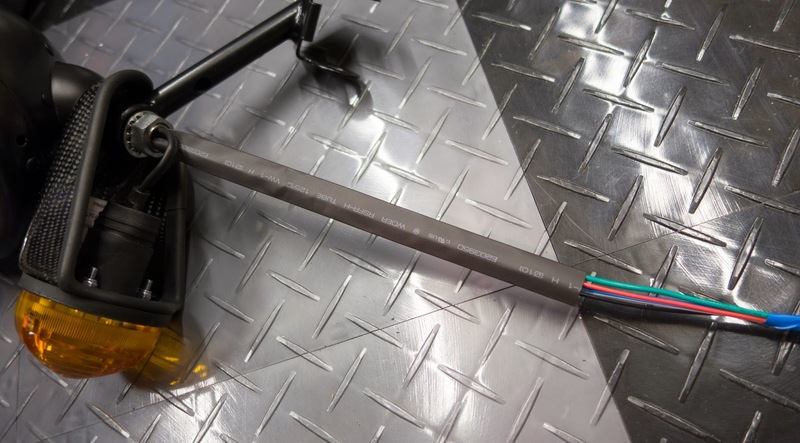 It will provide much better weather protection than splicing the rubber tubing and using electricians tape, plus it looks much more professional. Daniel, this is a great post; much better/clearer than the manual. I just used it to build my headlights. Thanks for the feedback Chris - glad it helped and the instructions were at least in some form followable! Brilliant. Caterham should pay you to copy and paste this into their manual! Cheers Ned - glad it was of use. Let me know if you have any questions. One small additional tip, now I've done this successfully myself! 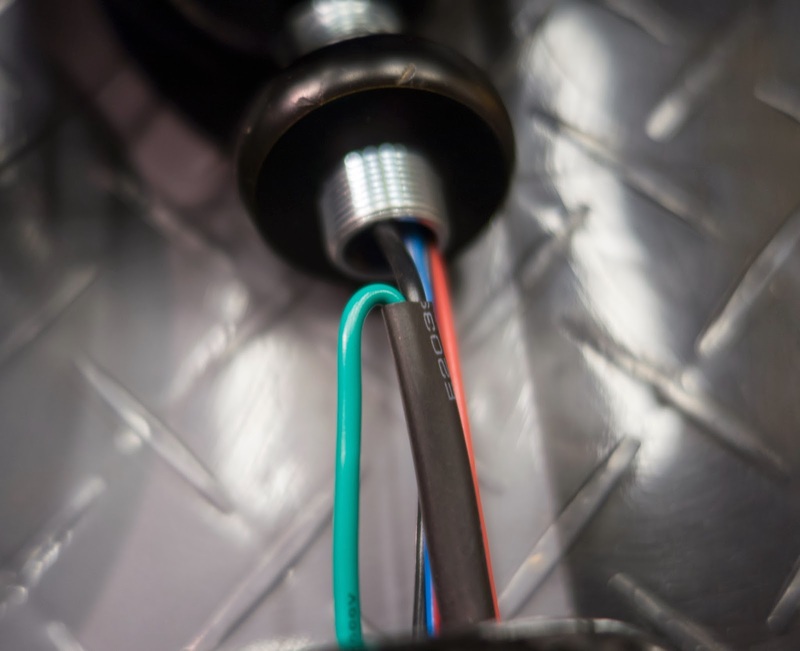 Plan ahead for the length of wires needed inside the car chassis, and how long they need to be to reach the econoseal plug. I found that I'd left the headlight wires much too long. I have redone, pulling the spare length into the headlight casing, so there is just enough plus a couple of inches. I've linked to your blog on mine (as have several others!). Just given up on the caterham way. Just ordered the shrink wrap. Now all I need to do is remove the light bracket, the arb, sob sob. One step forward, two steps back! Hi john-good luck, hope the guide helps... Once you've done the first headlight the second is a piece of pi$$ :-) let me know if you get any questions.